Disclosure: I received the cuff for feature from Baroni Designs. All opinions are my own. What girl doesn't love a beautiful piece of jewelry for the holidays? I have recently been into bracelets. It's odd because I used to never wear them growing up because I had to play the piano and violin and they would get in the way. Arm candy is on trend and Baroni Designs has a beautiful selection to stack. 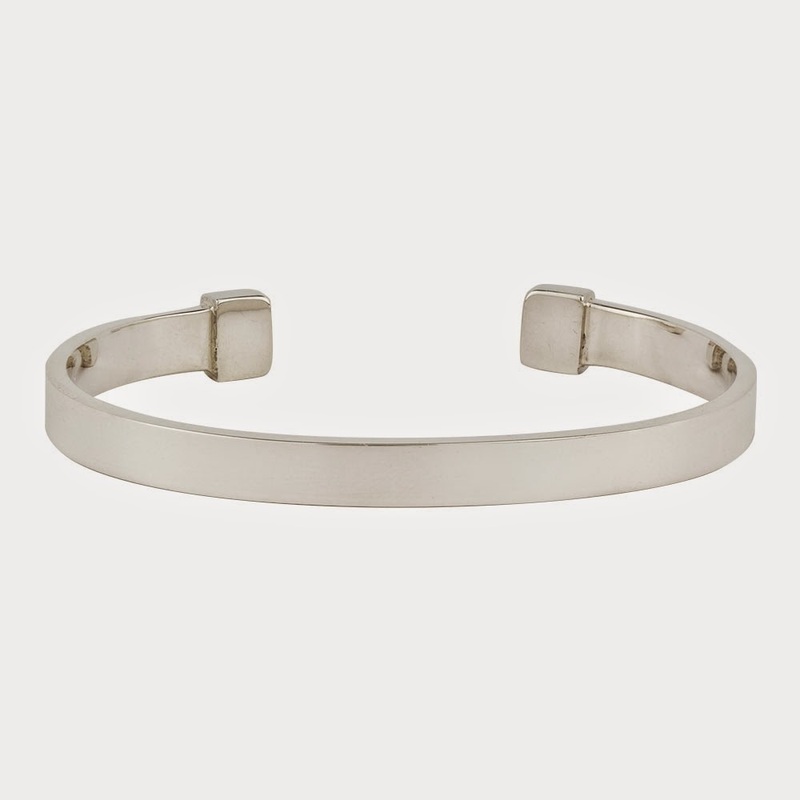 The Baroni Classic Thin Cuff made of sterling silver is perfect to wear alone or layer. It is 7/16" wide so will look fantastic on any size wrist. It lays flat and goes with both casual and dressy wardrobes. It comes beautifully packed for gift giving. I like that it looks great even when rotated. One knows it is a quality piece when worn due to the slight heft and width. I love it! Baroni Designs also offers necklaces, earrings, rings and more. I am drooling over the Showstopper pieces. Who would love a piece of Baroni jewelry for the holidays? 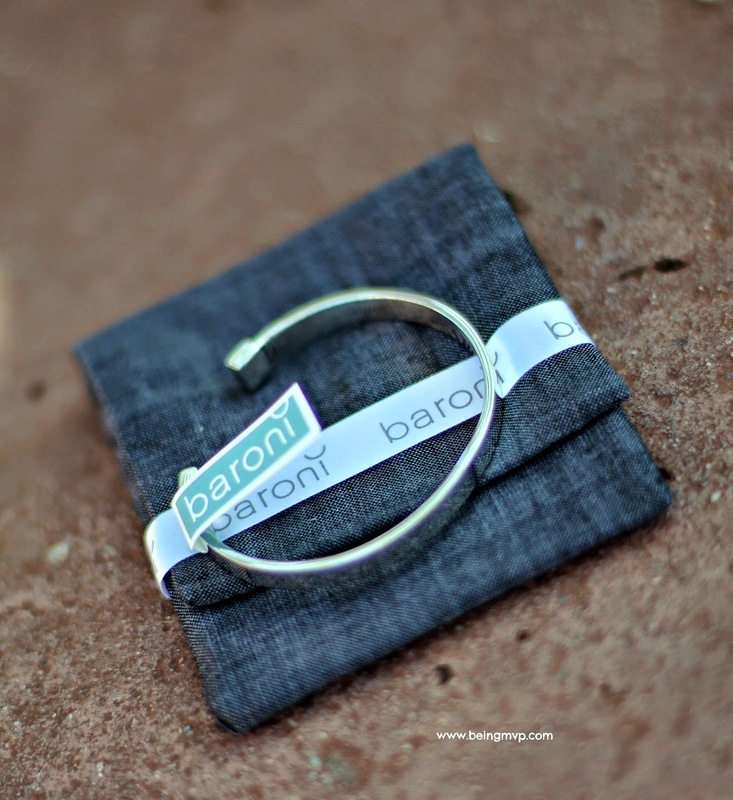 One winner will Receive a Baroni Classic Thin Cuff! I also like the Jeweled Circlet Necklace. I also like the Showstopper Bracelet, it's still classy but also demands some attention, would make a nice accessory. I like the Virtue Earrings in Gold because they seem very versatile- they could be casual, or dressy. I like Sun and Moon Ring because it is beautiful. I love the Balance ring set. I love the hammered look of it and the shape! I love the Kindness Owl Charm Stretch Bracelet because my grandma loved owls and always gave me an owl knickknack or ornament for my birthday before she passed away. I like the GLITTERATI NECKLACE! I love the Madison necklace! I love the Lula Necklace because it has a lucky charm. Persephone cuff is my favorite piece because it is substantial but still has a delicate feel because of the simple, small flower detail. Tumbling Pearls Necklace. It's very pretty. I like the kids necklace b/c of the bright colors. I love the Ingrid necklace! I also love the Thalia Henna Necklace, the pattern carved into it is really pretty and I like that you can wear the chain either long or doubled. I would love to get the Opal Moonstone Charm Earring because they are the perfect length, color and design for me. I love these earrings! I like the two tone ring also. I like the grace necklace from the avalon shore collections. I love the Empress Earrings. They're so versatile! I like the Dahlia Stretch Bracelet. It's a gorgeous color. Thanks for the chance to win!